I apologize if I have forgotten someone. It isn't easy to try and catch them all so I try and write them down to remember but I am sure I always miss some. 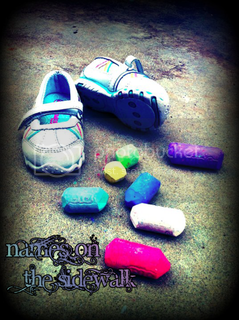 If you would like your child added to the list please leave me a comment. This month I was not able to get a balloon for everyone since there is construction and repairing of a water main going on right in front of the flower shop that I get my balloons. I was able to pick up 2 mylar balloons. One said Happy Birthday and the other was a butterfly. And I only managed to snap an up close pic of the butterfly balloon because right after I snapped it the Happy Birthday one slipped from my hand and I wasn't fast enough to catch it before it started to float away. I was able to snap some pics of it and the butterfly balloon flying up to the sky though. It was really neat because the butterfly balloon didn't float away right away but hovered over my house for several minutes. I couldn't believe it! 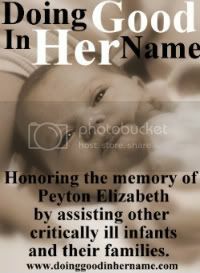 Stephanie at Carried Through Grief and Beyond Words Designs is offering something special for parents of rainbow babies. 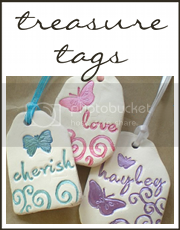 She is offering 50% off her Fanciful Collection to any parent who has experienced the loss of a child or a failed adoption and is now expecting another child or adoption after loss. 1. You must email Stephanie at sdyer37@gmail.com and let her know that you are interested. 2. You have 2 weeks to participate (offer ends on Saturday, August 7th). 3. 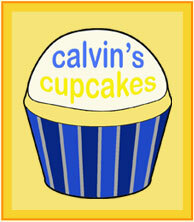 You can post about it on your blog, Facebook, or twitter to let others know. 4. A $10 deposit will hold your spot (She accepts Paypal, but will work with those without an account). 5. You have 3 months from date of deposit to use your discount. (Details can be discussed with Stephanie via email). For those who are just finding out about their pregnancies or are waiting to find out the gender, you can contact Stephanie and details can be worked out. 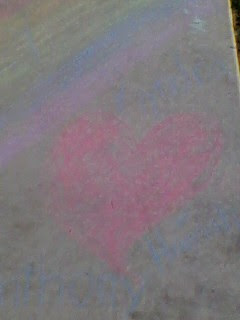 Stephanie can do anything your heart desires! 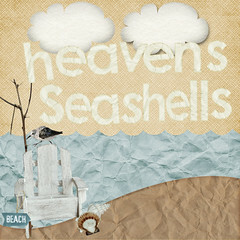 She can match nursery bedding, coordinate with colors, and color match with a swatch or photo. If you have any questions, just email Stephanie at sdyer37@gmail.com. Last weekend I had the opportunity to meet Jenny (Isaiah's mommy) when my family spent a long weekend in Michigan. It was so nice to finally meet her in person. My parents, Kyndra, and I drove to the area that she lives and it's such a beautiful place on Lake Michigan. We met up in an Office Max parking lot and I got to give her a nice hug. Then we followed her a short drive away to the cemetery where Isaiah is and I got to have a little visit with him along with Jenny, her boys, and my parents and Kyndra. The cemetery where he rests is so beautiful and peaceful. And the day itself was warm and sunny and just gorgeous! 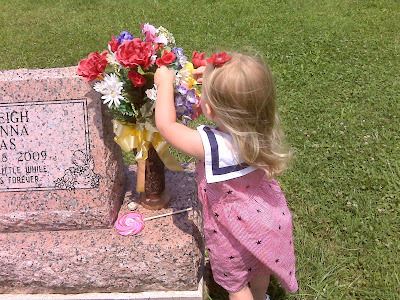 Kyndra had fun picking flowers at this cemetery too and got a handful before we left. After our visit to the cemetery we went to a little park area near Lake Michigan. The kids played around in the area and we took a little walk to see the area with a waterfall, which was very pretty. Jenny's boys had fun running through the sprinklers and getting all wet. The sprinklers actually got us all a little wet too! Jenny and I didn't really get to talk a lot since we had to watch the kids too but it was still so nice to be able to meet up and spend a little time together. She's such a sweet person! I don't think a day ever goes by that I'm not reminded in some way of Carleigh. Some days those reminders are happy ones and others they are sad. Today was a sad one. We had Carleigh's service over a year ago on April 4, 2009. It was a Saturday. We had chosen to have it over the weekend even though it cost more so that more family and friends could make the trip to be there. I had chosen only one song to be played at the service aside from the music in Carleigh's slideshow. The song was He Will Carry Me by Mark Schultz. I'm not completely sure why I chose only this song but it's the one that stayed in my mind when my pastor asked me if we wanted any songs played. Perhaps it is the words in the song. Even today they speak of the time when I felt broken and the only thing carrying me on was God. He gave me the strength to get through everything we had and were currently going through. He still gives me strength today. I stopped by the post office after work and the song came on right after I turned on the car. It immediately took me back to that time. Sitting in the pew holding my daughter so close in my arms as my husband held me while the song was played. Hearing the words and crying that it had to be this way. I remember wondering if people were listening to the words. Really listening. Because it was how I felt and I wanted them to know it. I sang the song through tears as I drove. After the song was over I felt the missing of her even more. It feels like so long ago since I last held her. I wish I could hold her again, but I know that one moment more wouldn't be enough. I need and I want a lifetime with her. I don't like that I have to wait to see her again but I have no choice. 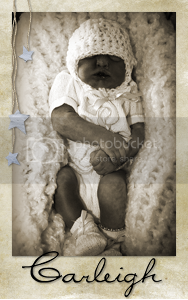 And there have been other reminders today that have made me miss her, like Amanda's precious daughter's pictures. Her little hands and feet remind me of pictures taken not too long ago of my own little girl. Thank you to those who thought of us. We appreciate it!! 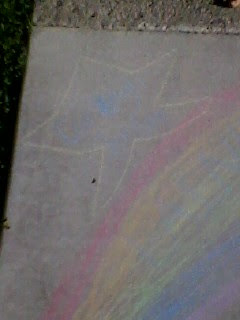 "They drew a star for Carleigh & Jordan put there names in it. 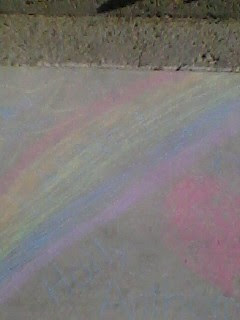 Then they made a rainbow that had Lainey wrote on it. 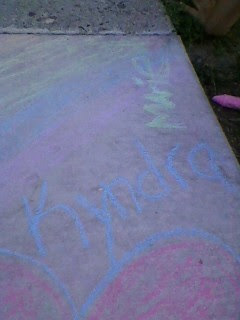 Then they drew a heart and tried to write Kyndra , Hannah , Holly and Anthony. It really looked good I wish the pictures would have been better. They worked a good hr on it. 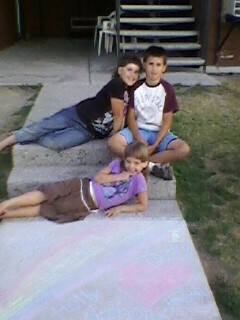 You should have heard them explaining it to the neighbors it was so sweet. They really love you all a bunch." From Penny at Our Angel Ella taken at St. Augustine, FL. From my friend Kristi. Thank you so much!! I found this poem this morning and really liked it and wanted to share it here. You can read some more poems/quotes I found here. Bound by neither time nor space. So I'm sure it's true. I'll hear it In eternity. Thought I would do a 2-in-1 post since it takes me forever now to get out a post on either of my blogs since the time I usually use to do that is now spent taking naps. June 28th was 15 months. I actually totally forgot what day it actually was til Caroline reminded me and then I had to count to see how many months it had been. I figured it was 15 or 16 but wasn't sure. And does it even really matter? Prolly not. I didn't do anything special. In fact, I can't even remember what I did that day or what day of the week it was without looking at the calendar. This may be in part due to pregnancy brain. At least that's what I will claim. Makes sense to me because I have been more forgetful and absentminded lately. As for how I (we) are doing. All I can say is good. Life is so busy or at least feels that way right now. I guess it's because my stepdaughter Hannah is with us right now for the summer and having an extra person in your house can make things a lot busier, especially when that person is full of energy (and when I don't have as much)! 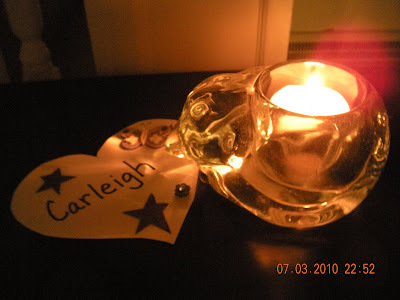 As always, we miss Carleigh but the grief isn't like what it used to be. 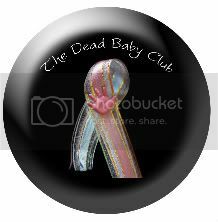 We have a lot more hope and happiness and life feels about as normal as it can get with a dead baby. I have had a few moments in the past month where I could feel the tears. 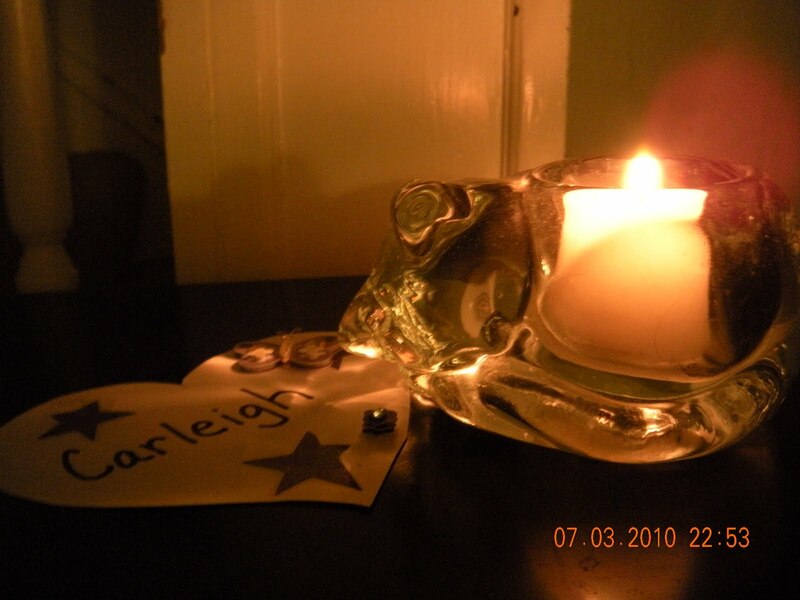 The one I remember is when I heard Carleigh's song on the radio. Every time it comes on I have to sing along and I can never get through the entire song without choking up at some point. The song doesn't get played as often as it used to so I love it when I get to hear it. 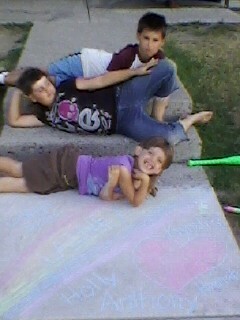 And there are lots of times when I try to picture what she might be like today if she were here with us. I see the pictures of the babies that were in the same due date group and it's just so hard to fathom her being that big because in my mind I always see the 3 lb 15 oz little bundle I held in my arms. I write about my pregnancy with Lainey on my other blog but I feel I want to write a little bit here too since pregnancy after loss is a part of the journey with Carleigh too. Right now I am 27 weeks and am very happy to be this far along with no problems so far. Lainey is looking perfectly happy and we are overjoyed to know that. 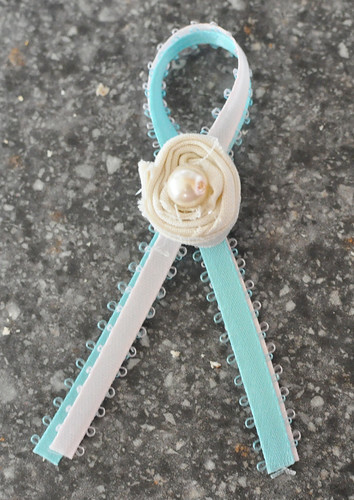 The first trimester was filled with worry and fear about miscarriage. Nobody wants it to happen to them but you know it's gonna happen to somebody. You just hope and pray it isn't you. I felt a little relief in reaching the second trimester and again on reaching 24 weeks. Pregnancy after loss definitely isn't carefree like previous pregnancies. I have had more worries, fears, anxieties, etc. And even now I still use the word 'if' a lot (and did you notice how I used 'so far' up above too?). I use these words because I know nothing for sure. I trust God completely to bring us through this pregnancy though. Even though this pregnancy has had it's share of anxieties, overall it's been pretty great. 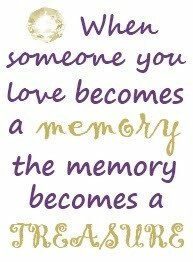 I've enjoyed experiencing this all over again and know how much the little moments mean. 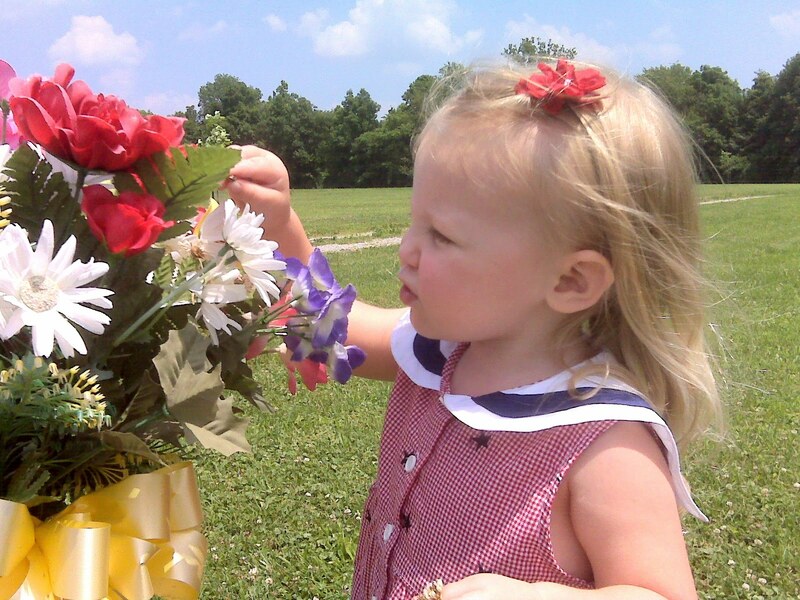 We went out to the cemetery after church on the Fourth. It was such a beautiful day! I didn't think of it until we were already there that it would've been neat to have some sparklers or something during the visit. Maybe I'll remember that sooner next year. Kyndra picked lots of little clover flowers for Carleigh and put them in her arrangement. She was really happy doing that. (BTW the lollipop in the 1st pic is Kyndra's. No way was she leaving that behind!) Carleigh will definitely be needing some new flowers by the end of summer. They are already starting to get weathered and faded but I hesitate to take something else out there now because I know it'll quickly get that way too. So I think I will wait until September and break out the fall flowers then. 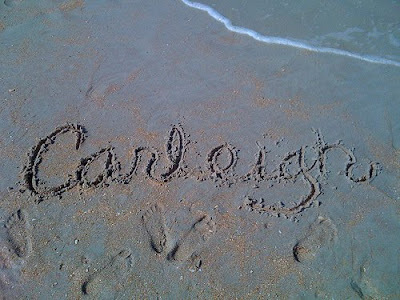 I think that they may need to put more dirt on top of Carleigh's grave because it is starting to sink again. I actually almost tripped walking over it. You can't tell it dips down because of the grass. I dunno, maybe they'll just leave it the way it is. The dip doesn't really bother me at all. I just have to remember it's there so I don't trip myself every time I visit.